This is a relatively new support group which provides a space for members of the community to discuss their needs and to access a range of support from Trafford Carers Centre. Please contact the centre beforehand if you are interested in attending. Transitional Plus Care (TPC) provides individually tailored, person centred, supported and semi independent living accommodation to young people aged 16 to 18 who are leaving care, custody, are homeless or are under Youth Offending Service arrangements in the community. We have an additional focus on Black, Asian, Minority Ethnic backgrounds and Refugees (BAMER) and young female offenders. Our Offending Behaviour Programmes are delivered by highly experienced criminal justice programme tutors with a wealth of experience within a range of criminal justice organisations. We provide Positive Behaviour Changes, Anti Social Behaviour, Impact of Offending Behaviour, Impact of Custodial Sentence, Drugs In Society, Impulsivity & Decision Making, Types of Behaviour/Assertiveness, Factors Leading to Crime, Drug Awareness, Domestic Violence, Assumptions, Relationship Building, Culture, Identity & Respect, Alcohol Awareness and Problem Solving/Dealing with Conflict. We provide a different approach to supported living. The service user will have the right to his/her own tenancy agreement and to have exclusive access to at least part of the property in question. The service user will be fully involved in the planning of his/her own support service. The actual support received will have the aim of supporting the individual to maintain and develop maximum levels of independence within his/her home and the community. TPC delivers services to the most challenging and hard to engage young people and provide a disciplined, structured and outcome focused service for both the young person and the placing local authorities. Our individually tailored placement plans are developed to address the young person's particular needs. At their heart, they cover independent living, gaining and maintaining employment, training, educational and other previously unsupported needs. TPC has a national portfolio of accommodation available to young people, including 8 units in Manchester, 10 units in Liverpool and 6 units in Leeds. All the accommodation is located on a single site 'foyer' style which we believe provides a more intensive, supportive and manageable solution to the needs of young people. Whilst many organisations claim to be different, Transitional Plus Care truly is unique. We are sector focused with over 20 year's experience within the Criminal Justice System. Our team are highly experienced individuals with a wealth of knowledge and skills. 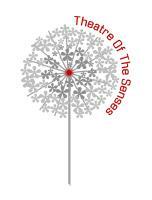 Theatre of the Senses has been creating inclusive theatre with and for excluded people, to challenge stigma and build confidence and self-esteem, with the aim of rebuilding and enriching our community. We create great drama that makes an unquestionable and positive change to our society and those living in its margins. Theatre of the Senses gathers and combines stories from the community to challenge both stigma and myths around mental health. Workshops will consist of drama and movement based workshops that will explore and address issues around mental health. These free workshops will use drama, devising, improvisation, role play, interview techniques, games and exercises, to facilitate the participants in self-examination, self-expression and motivation, to effect changes which will lead to better chances of staying well. Volunteers You will also experience all aspects of a working theatre production, and have the opportunity to gain new skills in stage management, producing, marketing, and set design. We are now recruiting participants for the project. MYH was founded in August 2001 by young people to respond to the social problems endured by Muslim youth in the UK. Our core service is a free and confidential Helpline, available nationally via the telephone, email, live chat text and letters. The service uses male and female volunteers trained in basic counselling skills to respond to client enquiries on any issue. MYH also runs an annual Prison Campaign that sends Eid cards and messages of support to Muslims in prison during Ramadan. We encourage them to contact the Helpline for support via the phone and letter writing. We reach out to an average of 3,000 male and female prisoners each year. MYH puts young people at the heart of its services and actively recruits young people from the Muslim community to be at the forefront of service delivery. The majority of our Helpline workers are under the age of 28 years and are drawn from across the ethnically diverse Muslim communities of the UK. By omitting the generation gap and the cultural restrictions of an adult-run service, we are able to build the trust of young people and deal effectively with the social pressures that young people from the Muslim community have never before been able to reveal. Whilst the issues MYH deals with are no different from most other helplines in the UK, MYH is able to provide its clients with faith and culturally sensitive support – something which mainstream services are still unable to provide. By providing safe spaces in which we listen, we are breaking the taboos of silence that prevent young Muslims from talking about their problems which makes them more acute. Young people from all backgrounds contact the Helpline and we never turn anyone away. Trafford Supported Lodgings Scheme is part of Trafford's Children and Young People's Service. The scheme recruits local people - 'Lodgings Providers' who can provide safe, secure and supportive accommodation within their own homes to young people aged 16-25. The young people may be in supported lodgings for a variety of reasons e.g. leaving care, family breakdown, bereavement, risk of harm - but all require emotional support and practical guidance in order to develop the skills and confidence to live independently. Who can be a Lodgings Provider? To ensure that safety of young people we carry out a range of police, health and other checks. Do I need any special skills or qualities? A rewarding experience - being a Lodgings Provider can give you a sense of satisfaction knowing that you are making a positive difference to the life of a young person. Support and training - The scheme will offer you training and support to help you in your role of Lodgings Provider. An opportunity to earn some extra money - Lodgings Providers receive financial support. The National Zakat Foundation has established dedicated shelters for homeless Muslim women in various parts of the UK. The shelters provide a safe haven for destitute women who have nowhere to turn in times of desperate need. As well as accommodation, we aim to provide a number of different support services to enable women to better cope with any difficulties they are facing and rebuild their lives in a positive manner. The shelters are not intended for long-term occupancy as we wish to help women move on and resettle back into the community. willing to accept that the accommodation based service will normally be available for 12 weeks in which time we will aim to move the occupant in to more suitable accommodation. This may increase depending on individual cases. If you wish to refer to the service, please contact Afia or email thresholdliving@thp.org.uk or complete the attached referral form, as well as an application form for anyone who wishes to make an application to funds available from NZF. Where referrals are unsuccessful, there may be other avenues for support available from the NZF. The project aims to build the confidence, skills, access to services and financial stability for customers to live independently. The project delivers one to one and group information and advice and awareness sessions for South Asian women, regarding sexual and reproductive health and well being in Trafford and Salford. The aim of the project is to increase awareness, testing, screening and access to relevant services by providing culturally sensitive and relevant information and advice in a number of languages. For further information and free and confidential support call or email. The work is delivered by a highly experienced bilingual outreach worker. The service offers advice, information awareness and support on all aspects of sexual health, hiv infection, prevention methods, reproductive health, screening and testing. Other topics also include the menopause and general health and nutrition awareness. The Jeena project is targeted at South Asian Women living in Trafford And Salford. Please see website if you require any further information. Forced marriage definition: "A marriage conducted without the valid consent of one or both parties, where duress is a factor". Universal Declaration of Human Rights: "Marriage shall be entered into only with the free and full consent of the intending spouses". Are you worried about being forced into a marriage either in the UK or abroad or have you been forced to marry against your will? No one has the right to force an individual to marry. No major world faith condones forced marriage. You have the right to choose who you marry. Forced marriage affects both males and females. *Contact the Foreign and Commonwealth Office. *Write down the address and telephone number of the British High Commission / Embassy in the country you are going to; your passport number and date of issue; and the name and address of a relative in the country you are visiting. Keep this with you. *Make sure you take some money in case you need to make a phone call or for transport. *Take a mobile phone that works abroad. * When you arrive contact the nearest British High Commission or Embassy. *Name as on passport (essential). *Passport number, date and place of issue. *Address and telephone number in the UK. *Details of where and who you will be staying with abroad (essential). *Details of reliable friend or relative in the UK. A new national helpline for victims of forced marriage and honour-based violence is now up and running. Called the ‘Honour Network', the dedicated helpline is run by the charity Karma Nirvana, which helps survivors of honour crimes and forced marriages. The phone line is staffed by survivors who understand what the victims are going through. Anybody who feels they need help can call our helpline. Alternatively, if you're afraid you're going to be taken abroad and forced into marriage, you can also call the Forced Marriage Unit on 020 7008 0151. Many young refugees and their families are forced to flee because of war, persecution and torture. Yet the treatment they receive here is often far from welcoming. Hope Young Refugees Project aims to turn this around. We support young people aged 13 to 25 years, from all over the globe who seek to rebuild their lives in Manchester. Our beneficiaries include: refugees, unaccompanied asylum seeking children, young migrants, and all other international new arrivals to the region. We work with young people to improve their wellbeing by organising activities and group work, delivering one to one case work for more vulnerable young people, providing information and advocacy, running a regular drop in servce, creating opportunities for young people to build their own peer support; helping them to develop the life skills they need to live independently. For more information about our groups and services please contact us. The Refugee Toolkit‌ - an online tool, funded by the Department of Health, for all adult and children’s services practitioners, education, health and other agencies in contact with refugee and asylum seeking families, particularly those working with families affected by ill-health and disability and where there are young carers. This service is available to people who live in Manchester or have a link to Manchester. Please contact Katie if you require further information. The British Red Cross helps vulnerable people in crisis. We help asylum seekers and refugees access essential services and adjust to life in a new country. Details of other services and agencies assisting refugees and asylum seekers. Travel assistance service for refugees who are looking to be reunited with their families. Many of our trained volunteers come from refugee backgrounds themselves and speak over 20 languages. When matching volunteers and service users we always strive to provide someone who knows the local area and we consider language needs and gender. The Red Cross helps those asylum seekers unable to obtain support from the state and local authorities. This may be because their cases have been fully determined (rejected) or because they have been granted asylum but are having problems moving onto employment or mainstream benefits. WISP helps refugee and asylum seeking women adjust to life in Britain by providing educational and social opportunities and the chance to meet other women in a friendly setting where young children are welcome and catered for. We give women the opportunity to improve their English and other skills, while providing a supportive environment in which they can relax and enjoy themselves. Activities can include informal English language support, signposting, information sessions, arts and crafts workshops and trips during school holidays. Bridge aims to help refugee and asylum seeking men facing isolation, disorientation, boredom and loneliness. We offer the opportunity to make new friends and learn skills relevant to integration into a new city and culture. This can include IT tasters, orientation tours of Manchester city centre, jobs and volunteering workshops, first aid training and football tournaments.